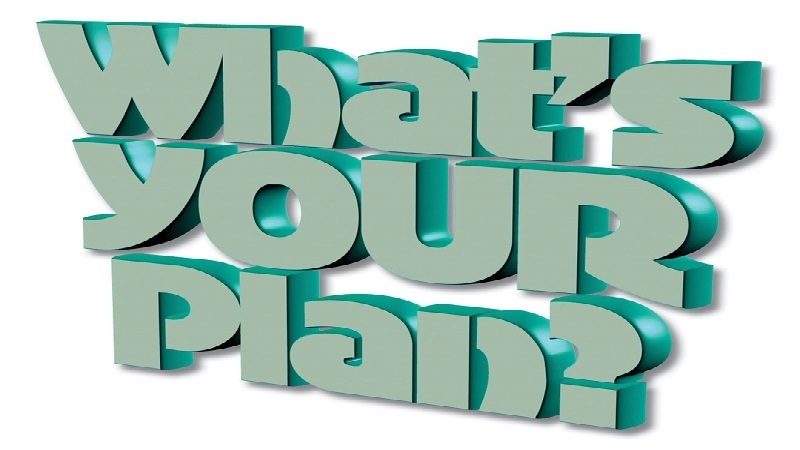 Editor’s Introduction: We’ve all heard the phrase, “Failing to plan is planning to fail”. Variations of this quote have been attributed to Benjamin Franklin, Winston Churchill and Alan Lakein, as well as others. With the New Year upon us, we often start to think of planning, setting goals and accomplishing new things. To start off our Parenting with Altitude blogs this year, we’ve asked several parents to tell us about their planning efforts in respect to financial planning and resources for their family. We’ll be publishing this series of blogs over the next several weeks with the hope that you’ll find some ideas and inspiration for planning for your family, specifically for your son or daughter with a disability or special health care need. Like all of us, as parents of a child with special needs, we worry about what will happen to our children when we are gone. My daughter, Izzy, who has significant disabilities will always require care, and will never be able to live independently. This was the main reason why I setup a special needs trust for my daughter. The trust allows for money to be held in an account for the use of my daughter without affecting her ability to receive Supplemental Security Income (SSI). Luckily, both my ex-wife and I were on the same page when it came to preparing for our daughters future. I chose to work with an attorney/financial advisor who specializes in these kind of trusts. In addition to a special needs trust, I also set up a living trust. An added difficulty was that I was going through a divorce at the time. However, as parents, we were able to work together to come up with a plan to support our daughter’s future. For myself, there was the decision of whether to set up a living trust or a will. A will can be cheaper and easier on you, but the living trust is easier on your heirs. All of my assets will go into the living trust when I die. Those assets will be easier and quicker to access, since they will not have to go through probate. This can be a difference of only a couple of weeks for the living trust as opposed to possibly months for a will. How much will all this cost? To set up two living trusts, one for me and one for Izzy’s mom, and a special needs trust for Izzy, the grand total was $3800. There were three meetings with the attorney. The first was to meet and get to know a little about each other. The second was to go over our preferences and desires. The final meeting was a review of all the documents. If I become disabled and cannot make my own decisions, who will have Medical Power of Attorney over me? After I pass, who will care for my daughter? Who will be the executer of my living trust? How will I fund the trust? Funding can come from many sources. You can fund a trust at any time, but for Izzy’s mom and I, we have decided to wait to fund it. When we both pass, the assets of our living trusts will go into the special needs trust. Those assets will include personal property, retirement accounts and most importantly insurance policies. Relatives can also contribute, but we have told them not to list Izzy, individually, but instead us or her special needs trust. To make things simple, we were given a sheet of paper with how to designate beneficiaries. Depending on the type of asset, you may want the beneficiary to be your living trust or a particular person. Once the special needs trust is funded, what do you do with it? The money can be used for anything that Izzy needs outside of what must be paid for with SSI. One of my main concerns has always been if she needs to be put into a care facility, I want there to be options for her. This trust will provide that. We have also stipulated that whoever is taking care of her, can take a monthly stipend. We have set a predefined amount for this stipend. Finally, what happens when Izzy passes? Whatever money is left in the special needs trust can be designated however the parents wish. For us, the money will go to whomever was taking care of Izzy at her passing. However, trust law continues to change and in some cases there may be a requirement to pay back Medicaid. This is where working with an attorney who is knowledgeable about special needs trusts is important. Trusts are fluid documents, everything is not set in stone. I can make changes as situations change. Some of those changes will, however, mean meeting with a lawyer. I do feel much safer now that we have a plan in place and Izzy will be taken care of when I am gone. Working together with Izzy’s mother and the attorney, it was a painless process and well worth the money. Pat Hart lives in Denver with his 16 year old daughter, Izzy. Izzy is a happy girl, who loves being around people. She is undiagnosed, with significant developmental disabilities. Pat was a chemical engineer before becoming a full time stay-at-home dad when Izzy was born. He also serves as Izzy’s CNA and in his free time, can usually be found out riding his bike. Pat is an active member of Parent to Parent and previously served on our P2P-CO Advisory Board. How are you planning for your son or daughter? You can share your ideas with us at: p2p-co@yahoogroups.com For more information on special needs trusts, read What’s Your Plan? Part 2: Options for Planning. Be sure to visit The Resource Storeroom for more information on Financial Resources and Planning. Two other helpful resources include: The Arc Future Planning and Wright’s Law Future Planning We also love the resources at Lifecoursetools – these are great visual planning resources to use with your son or daughter to create “a good life” with financial planning included. Are you an individual, business or organization that would like to partner with P2P-CO? Learn more about our Friends of P2P-CO Program!